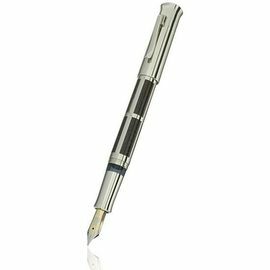 If there is an aristocracy in the pen world, then Graf von Faber-Castell with it's long pedigree is firmly established within it. The Faber-Castell company was founded in 1761 producing graphite pencils, meaning it has been in production for over 250 years! 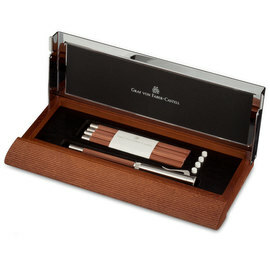 In 1839 Baron Lothar von Faber took over the family firm and under his direction, the humble wood-cased pencil was turned into a genuine quality product; the company produced the first-ever branded writing implement. They were confident that the consistent high quality of their pencils would ensure success. The company is now lead by the great-great-grandson of Baron Lothar von Faber, Count Anton Wolfgang von Faber-Castell, the 8th generation of his family to lead the company. 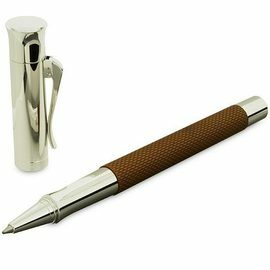 Under his direction, Graf von Faber-Castell have developed their collection of prestige luxury writing instruments, all of which have an unmistakable understated elegance and undeniable quality. 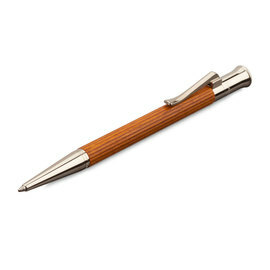 The traditional wood cased pencil has not been forgotten in the development of these luxury pieces. Woods of different species such as pernambuco, grenadilla, and ebony are variously used to great effect throughout the ranges and of course the Perfect Pencil with its multi-function extender is the ultimate wood cased pencil. 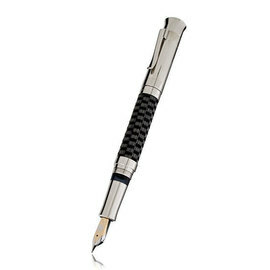 The Anello from Graf von Faber-Castell is a truly luxurious collection of writing instruments. The barrel, originally made from sections of Ebony wood divided by platinum plated rings, is now available in a collection of different precious materials. 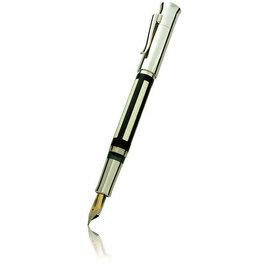 The Annello is available as a fountain pen, rollerball and ball pens and as a mechanical pencil. This special limited edition model offers a champagne gold finish to Graf's Perfect Pencil range, featuring an engraving of the Count's signature on the pencil extender. 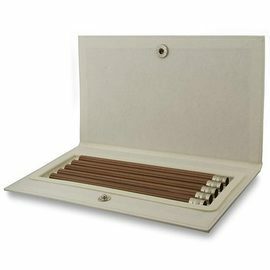 The luxurious Classic range is avaliable in platinum, exotic wood or solid sterling silver finishes as fountain, ball and roller ball pens and as a 0.7mm mechanical pencil. The natural colour variation inherent in the grain of macassar wood brings expressive gradients to this delightful variation of the Classic. Real blacks and dark chocolate browns combine beautifully with unique anthracite-coloured titanium accents. 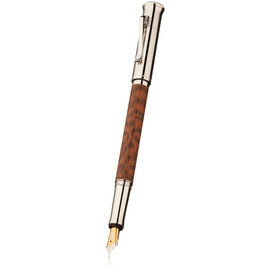 A limited edition of the Classic in Snakewood with platinum trim, available as fountain pen, rollerball, ball point and propelling pencil. Edition of 1761 pieces. A bundle of three Graf Desk pencils. 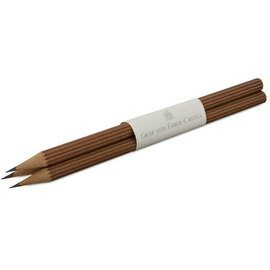 Highest quality pencils available in brown or black. The timeless Guilloche range features hand finished guilloched patterned barrels avaliable in several sophisticated colours or as an entirely rhodium plated finish. A variation on the established Guilloche range, the Guilloche Chevron is available in black with a chevron engraved design. 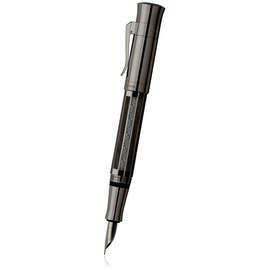 Available as fountain pen, rollerball, retractable ball pen and and as a twist-action mechanical pencil. Stunning addition to the Guilloche range, the Ciselé features deeply engraved herringbone pattern, available in anthracite and brown with rhodium plated trim. 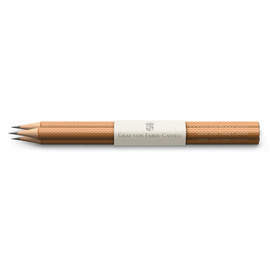 Wood-cased pencils with a Guilloche pattern textured finish. 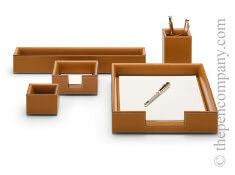 Available in a selection of Graf's Colour Concept colours. Sold in a bundle of three. 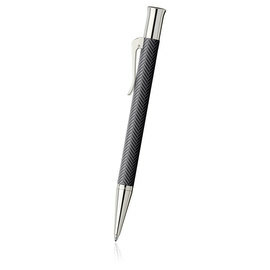 A well proportioned pen, the highly-polished pure, subtle shape of the Intuition gives a pleasing tactile experience. 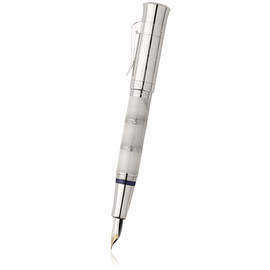 The gleaming finish of the precious resin barrel combined with the platinum trim results in an extremely elegant pen. The Intuition is available in four modes and in black, terracotta and ivory colours. The larger relation of the Intuition, the Intuition Platino has a more imposing, larger diameter barrel. 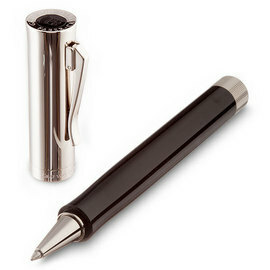 The fountain pen and rollerball pen both also feature a metal platinum plated cap. 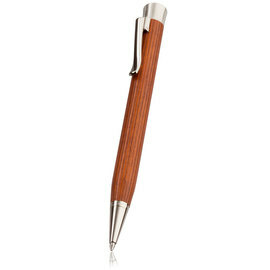 The 'Intuition Platino Wood' collection shares the barrel shape of the Intuition range, however, like Graf von Faber-Castell's 'Classic' pen features elegantly fluted precious wood barrels of either grenadilla or pernambuco. 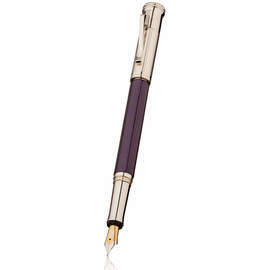 The “Limited Edition Heritage Alexander" celebrates the life of Alexander zu Castell-Rüdenhausen, who's family name provided the 'Castell' part to the now famous 'Faber-Castell' name. The marriage of Alexander and Ottilie von Faber created a new noble family whose lives' now provide the inspiration for this Limited Edition Heritage Ottilie & Alexander range. 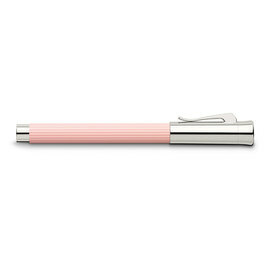 The “Limited Edition Heritage Ottilie" celebrates the life of Ottilie von Faber, who provided one half of the well-known 'Faber-Castell' name. The name first came into being at the marriage of Alexander and Ottilie, who provide the inspiration for this “Limited Edition Heritage Ottilie & Alexander" range. 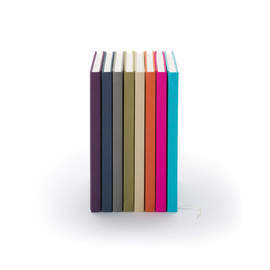 Linen coverings in a selection of attractive colours bind these high-quality ultra-smooth linen notebooks. Available in A4, A5 and A6 sizes. 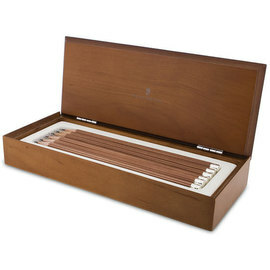 Set of 12 fluted Cedar wood pencils in a beech wood presentation case, also available as a box of 6. Box of five replacement No. V pocket pencils for use with the Perfect Pencil. Guilloche-pattern replacement No. V pocket pencils for use with the Perfect Pencil in night blue and light grey in boxes of five, or the Graf colour concept range of colours in bundles of three. 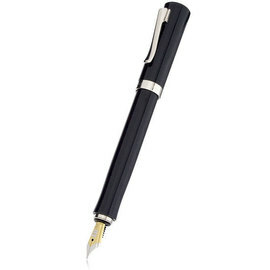 A limited edition, magnum sized fountain pen with a barrel of ebony heart wood inlaid with rare mammoth tusk ivory. 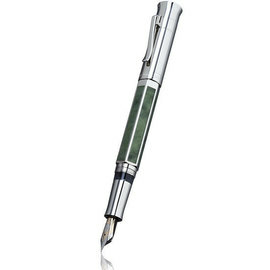 Graf von Faber-Castell's Pen of the Year 2007 is a limited edition fountain pen with a barrel of petrified wood. 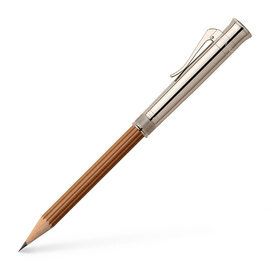 Graf von Faber-Castell's Pen of the Year 2008 is a limited edition fountain pen with a beautiful wooden parquet barrel. 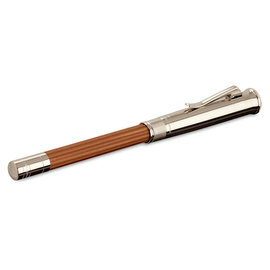 This limited Edition Graf von Faber-Castell fountain pen features a hand-woven horse hair barrel. 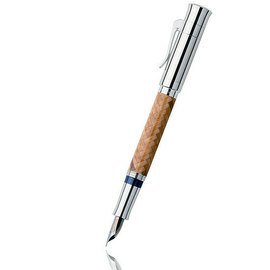 The beautiful Pen of the Year 2011 features a hexagonal barrel - a departure from the design of its predecessors. Each side of the barrel is inlaid with a Jade panel. 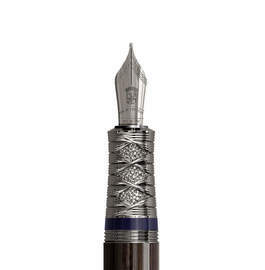 Graf von Faber-Castell's 2017 Pen of the Year has been inspired by the Vikings and their Nordic longboats, with two versions available in either platinum inlaid with curly Birch, or a special limited edition in titanium PVD inlaid with matt-grey smoked Oak. Featuring white 'staturio' marble from Carrara or black 'Nero Marquina' marble from Biscay, the 'Imperium Romanum', Graf von Faber Castell's Pen of the year for 2018, celebrates an empire whose success saw it spread across three continents, forever influencing our world. Stories of emperors, gladiators and blossoming culture are embodied within the design of this special, strictly limited range. The 2019 Pen of the Year takes inspiration from the precious materials and meticulous processes used by traditional Japanese sword makers. The Magnolia wood and Black Edition variations both feature an engraving in in 24-carat gold varnish along the barrel of a quote by Miyamoto Musashi, considered to be the greatest swordsman of all time; "Today I win against myself of yesterday". 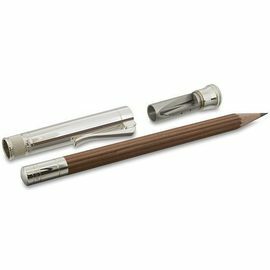 Based on Graf von Faber Castell's 19th century notecase pencil the luxurious Perfect Pencil houses a sharpener in the pencil extender and a replaceable eraser under the end-cap of the pencil. 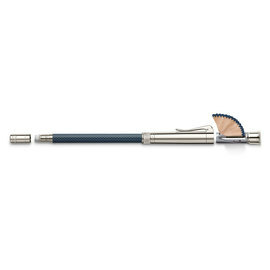 The Perfect pencil is available with either a platinum plated or solid sterling silver extender. 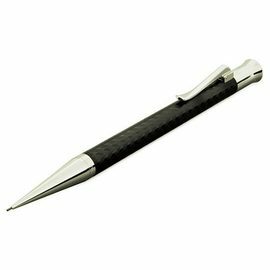 This black edition Perfect Pencil brings a sleek and timeless colour variation to Graf von Faber Castell's premium quality wood cased pencil, featuring an anthracite-coloured PVD extender, neatly concealing a built-in sharpener and replaceable eraser. 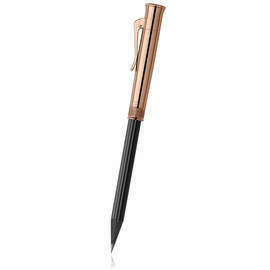 The rose gold pencil extender contrasts beautifully with the black fluted cedar wood on this sumptuous variation of the popular Perfect Pencil. 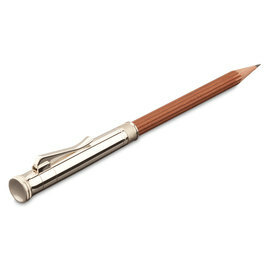 This sumptuous version of Graf's Perfect Pencil features a double knurled solid Sterling Silver extender to complement the fluted brown cedar wood pencil. Light grey and night blue 'Guilloche' pattern designs add an attractive and tactile variation to Graf von Faber Castell's Perfect Pencil range. 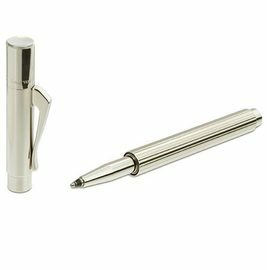 The platinum-plated caps house a cleverly concealed pull-out sharpener and the ends unscrew to reveal an eraser. 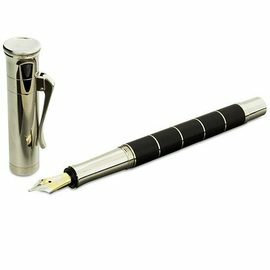 The additional size of the Magnum is perfect for those who appreciate the Perfect Pencil but prefer a more sizeable writing instrument. 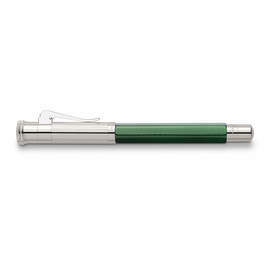 The platinum-plated cap houses a cleverly concealed pull-out sharpener and the end unscrews to reveal an eraser. Anthracite-coloured titanium accents set this magnum-sized perfect pencil apart from its counterparts. Dark trim complements the black pencil perfectly. 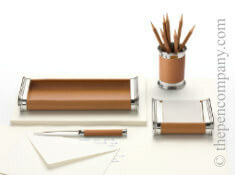 Based on Graf von Faber Castell's 19th century notecase pencil the luxurious Perfect Pencil is available as desk sets. 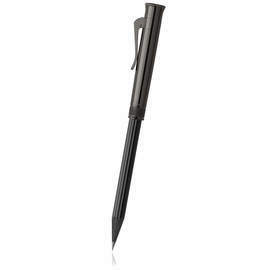 The Pocket range comprises of a capped ball pen and mechanical pencil. 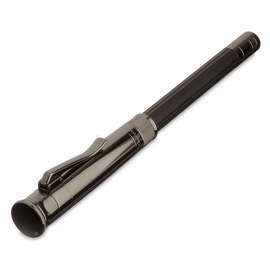 Small and slender with a platinum plated ribbed barrel. Refined with softer characteristic Graf features, the slender Tamitio has a finely fluted metal barrel lacquered in several stages to create a durable matte finish contrasting with the highly polished cap and trim. 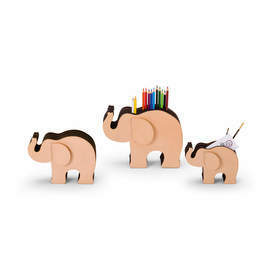 Lovingly created in the central Italian region of Umbria, these unique and useful desk accessories provide plenty of space to keep your pens and other belongings neatly arranged. 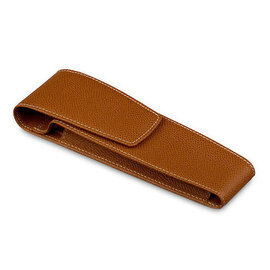 Beautiful leather pen cases from Graf von Faber-Castell to protect and complement their pens. Available to hold one, two or three pens. 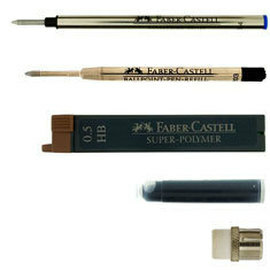 Genuine Graf von Faber-Castell refills - we carry the complete range of Graf von Faber Castell refills for both pens and pencils.